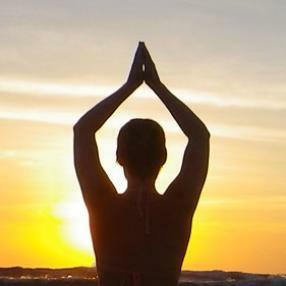 Life Time's signature stages of yoga are the focus of this foundation class. Build simple flows to discover how your body works and feels in various yoga postures and transitions — creating both effort and release. As you explore a stronger body and mind, your breathing will inspire movement. Mix of Yang/Yin style yoga; active and passive practice. This class is welcoming to beginners but includes less descriptive language. This a great transition class for beginners looking to bridge the gap to intermediate practice. A total body workout, CorePower Yoga Sculpt classes are set to energizing music and designed to tone and sculpt every major muscle group. This class complements your regular yoga practice, while boosting your metabolism and pushing your strength and flexibility to new heights. Free weights are added to the CorePower Yoga 2 (C2) sequence, creating resistance and intensifying each pose. Strength-training exercises such as squats, lunges, bicep curls and tricep curls are incorporated to build lean muscle mass. You will see visible results in your body. Class is heated (92 - 95 degrees) with little added humidity. 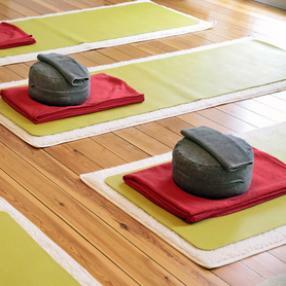 This class will focus on gentle movements and stretches to prepare the body for a 15 minute Meditation practice, followed by a long, delicious guided relaxation. No prior experience of yoga or meditation is required. You’ll find the guidance spacious and inviting. Come and explore relaxation as a doorway to presence. A mindful accessible flow practice. This is an all levels practice great for the newbie and the seasoned practitioner. Move with the breathe through a series of fluid and static postures for a limber, stronger, and flexible physical body, as well as, a calm and serene mind.